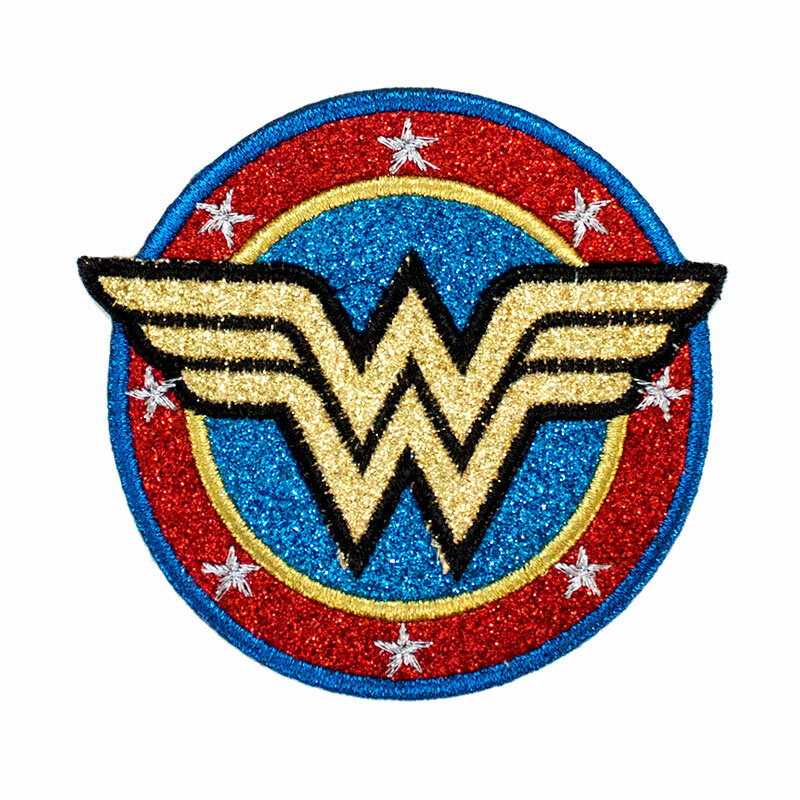 Glitter Wonder Woman superhero patch. 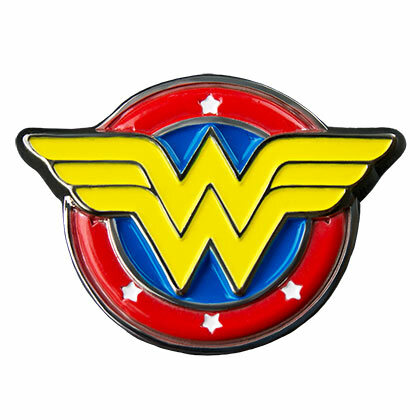 This officially licensed patch depicts the classic "Wonder Woman" logo in gold. Measures 3.25 inches. I ironed this patch onto my hiking backpack and got tons of compliments on it. It is quite glittery and it attracts lots of attention! 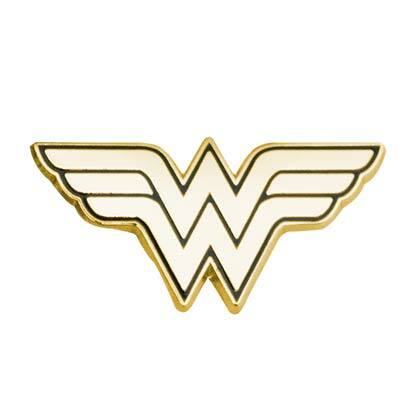 Every time I go hiking I feel like a Wonder Woman so I just had to get it!